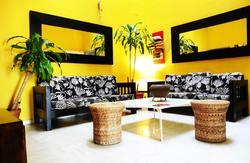 The Cathedral House offers a lot of exciting and interesting activities to its guests to enjoy their staying in Seville. The maximum staying in the Cathedral Backpackers B&B is 15 days, but if you need to stay in the hostel more than 15 days you should inform us beforehand. The reservation can be made one day before your coming to the B&B. The check in is from 12:00 till 21:00 all the week. If you want to check in out of this schedule, you should contact with us through email. If you want to come before 12:00, you can keep your luggage in the left luggage office. After having realized a check in, you should pay for all your staying. Then you will be given the keys that you can enter and go out any time you want. The cancellation should be done 48 hours before the required day. In case of cancellation the guest should write to us an email. The cancellation on the telephone is not accepted. If the guest doesn't cancel his reservation during the mentioned period of time, he will be penalized for the first reserved night. The Cathedral House has all the installations of a new hotel with charm. 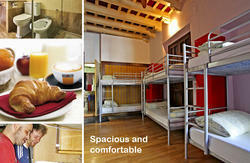 It has cosy spacious bedrooms with 4 or 6 beds and a well equipped bathroom and another one of exclusive use. 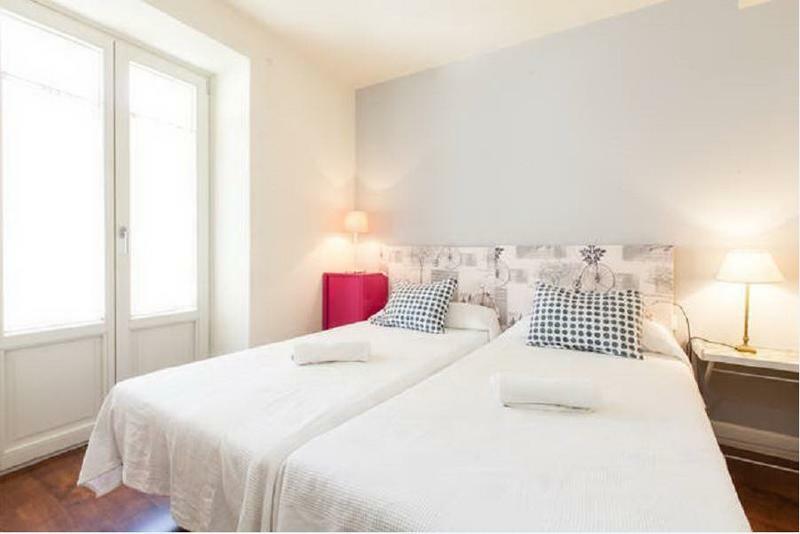 Each bedroom has safety boxes (free), air-conditioning/heating available, WiFi (free). We offer a totally equipped kitchen that our guests could use it as they were in their own house. If the guests want to realize a check in out of the timetable (8.00-21.00) they should sent their data through email. We offer free breakfast, Internet, WiFi, cold drinks, snacks and all the types of activities and entertainments for our tourists: flamenco show with the dinner included and trip along the Guadalquivir. By taxi, depending on traffic, can cost between 9 and 15 . From the airport by taxi the cost is about 25 euros. By bus, it is necessary to take EA bus which will bring the tourists to the center of the city. Then they should get off at the last station Prado. The price is4 . 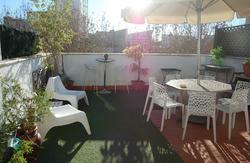 The Cathedral Backpackers B&B is 15 minutes on foot from the station. Also it is possible to use Metro Centro ( from Prado de San Sebastian). We could also line C1 until the stop of El Prado de San Sebastian. From there Cathedral Backpackers B&B is abut 15 minutes on foot, crossing the street San Fernando, Puerta de Jerez, Constitution Avenue, Admiralty Street, across the Arco del Postigo, take the first right: Arfe No 36.